It’s not often that a legitimate hockey-related fashion story makes the news, so, when the Canucks organization announced they would be introducing jerseys to commemorate the 100th anniversary of our city’s original hockey team, the Vancouver Millionaires, I pulled out my Project Runway scrapbook and starting thinking about ways to accessorize. Being a relatively new transplant to Vancouver and new to hockey, I had never heard of the Millionaires. But after digging around on the Googlenets and the Canucks website, what started to emerge was the fascinating and rich history of hockey in Vancouver that reaches back more than a century. In fact, this ruggedly-beautiful seaside city had an influential role in helping to shape the modern game of hockey as we know it. In 1911 the very first west-coast hockey league, called the Pacific Coast Hockey Association, was created by the Patrick brothers, Frank and Lester, who moved to British Columbia from Montreal to work in their father’s lumber business. Frank and Lester were hockey players AND lumberjacks! Perhaps they were the prototype for Johnny Canuck. The Patrick brothers organized three teams to play in the PCHA, all with regal-sounding names: the Victoria Aristocrats, the New Westminster Royals, and the Vancouver Millionaires. Frank Patrick not only played on the Millionaires team, he was also the coach and manager. There was one slight problem playing hockey in Vancouver. Despite the perception that all of Canada is a cold, frozen tundra, Vancouver’s weather is relatively mild during the winter. It rarely gets cold enough to completely freeze a rink-sized body of water. Think “Nashville ice rink” and you’ve got the picture. So the Patricks used some of their family fortune to build the Denman Arena on the corner of Denman and Georgia Street in the West End of Vancouver. It was a revolutionary rink that was one of the first in Canada to use artificial ice, and was also the largest indoor ice rink in the world at the time. Other innovations that the Patrick brothers and the PCHA introduced to hockey still in use today are blue lines, the goal crease, the forward pass, numbers on players’ sweaters, penalty shots, and allowing goalies to get down on the ice and spread their legs wide open to protect their net. Probably the best innovation the Patricks contributed to the game of hockey was the Playoffs. 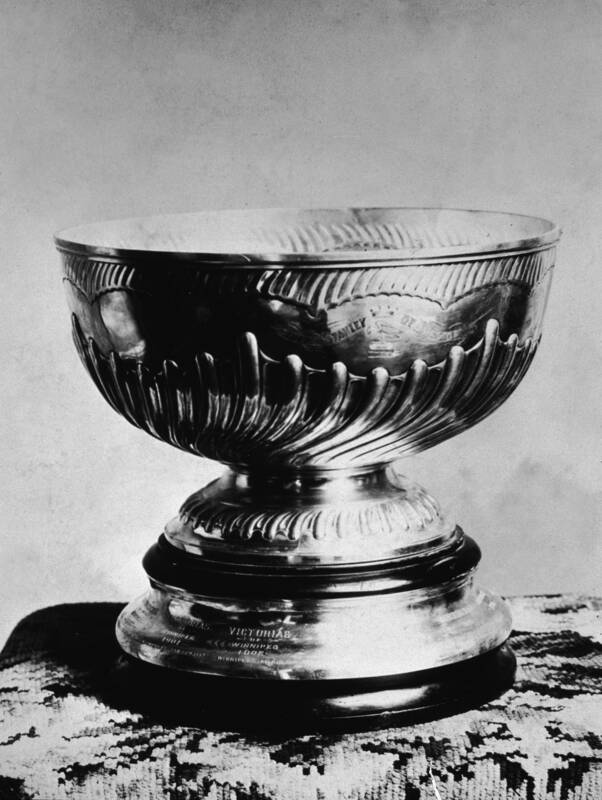 In 1915 the first official playoff games were held between the top scoring teams from the Pacific Coast Hockey Association and the National Hockey Association. 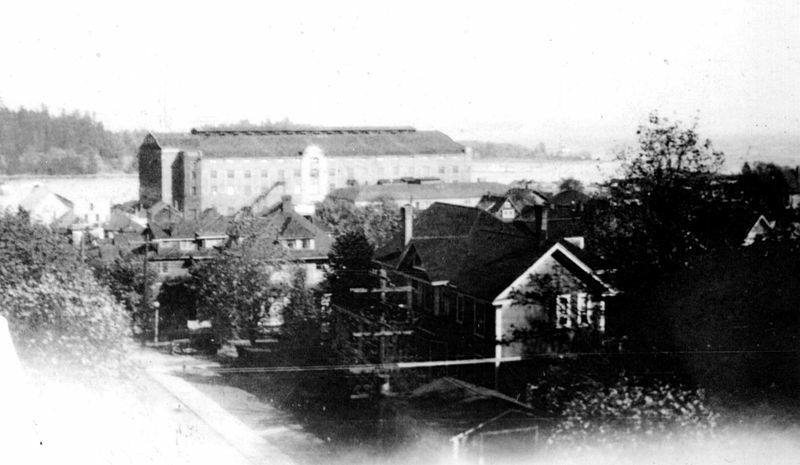 The games took place in the Denman Arena where the Vancouver Millionaires swept the Ottawa Senators in three games and won that most coveted trophy in all of hockeydom, the Stanley Cup! That’s right, Vancouver’s hockey team of the day won the Stanley Cup! I don’t care if it happened 98 years ago. It still means that, technically, Vancouver is not “Cup-less,” and those who mock us for being so can smoke on their pipes and put that in! Speaking of smoke, sadly the Denman Arena burned down in 1936. No, it was not set ablaze by hockey rioters. A nearby coal shed exploded. Which was probably the work of a disgruntled Senators fan. 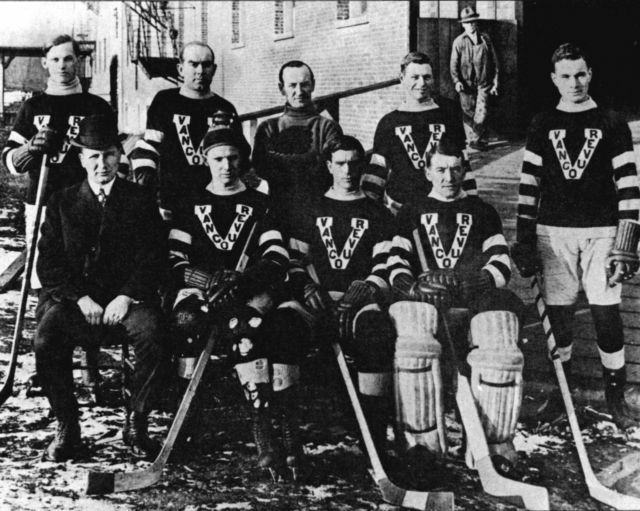 The sweaters worn by the Millionaires were maroon with white stripes on the sleeves and featured a large “V” logo on the front that contained the word “Vancouver.” Very collegiate and jaunty. 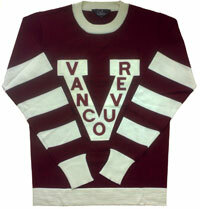 In fact, the team was later renamed to the Vancouver Maroons referring back to the sweater colors. But that doesn’t have quite the same ring as The Millionaires. 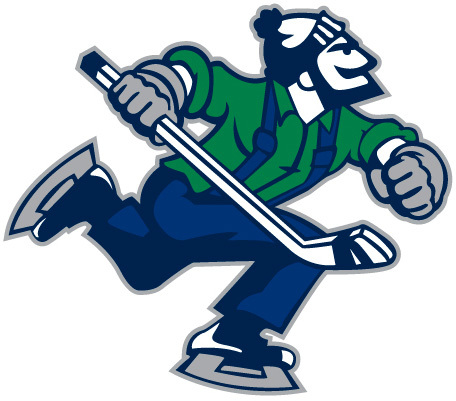 A few years ago the Canucks bought the rights to the team name and trademarks, and are beginning to incorporate the heritage of Vancouver’s original hockey team into their own brand. Last week the Canucks players sported the Millionaires V logo patch on their jerseys for the first time during a game with the Blackhawks. The Canucks are also planning to wear a modernized replica of the Millionaires uniform during their game with the Detroit Red Wings on March 16. We got a glimpse of what the uniform might look like. Ryan Kesler modeled one during a photo-shoot that was posted on the Canucks website. Unfortunately, he remains fully-clothed in all of the photos, but Ryan looks fetching in the retro-licious ensemble. 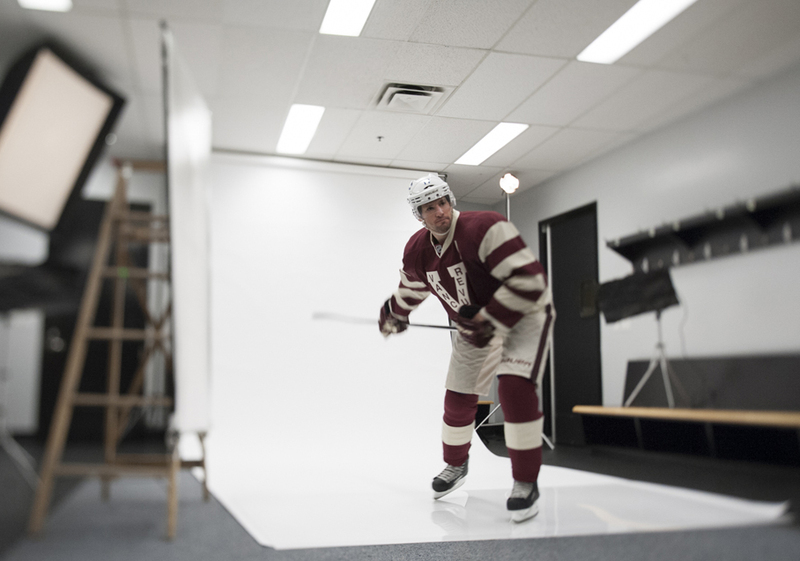 Ryan Kesler models a modernized replica of the Millionaires uniform. The blue-and-green Canucks jersey with the V patch are already available to purchase, and Millionaires-branded caps, toques, t-shirts, scarves and mugs are sure to follow. It’s a merchandising bonanza for the Canucks that will surely make them millions in profit. It’s also great to see the Canucks paying homage to Vancouver’s impressive hockey legacy, and reminding all of us that, before hockey players were millionaires, the Vancouver Millionaires helped pave the way for the game we all love today. This entry was posted in Vancouver Canucks and tagged National Hockey Association, Ottawa Senators, Pacific Coast Hockey Association, Ryan Kesler, Vancouver Canucks, Vancouver Millionaires. Bookmark the permalink. Really really well-done and well researched. And I’d gladly take a 98-year old pseudonymic Cup here in DC. I’m a lumberjack AND I own a pair of hockey skates. But sadly, I’m not a hockey player just a fan. Interesting article, thanks! I’m sure there are other ways you can work fashion into hockey articles. Some of the coaches could use some fashion tips, that’s for sure, or asking players about the raging controversy over boxers vs. briefs. I love the Millionaires uniform. 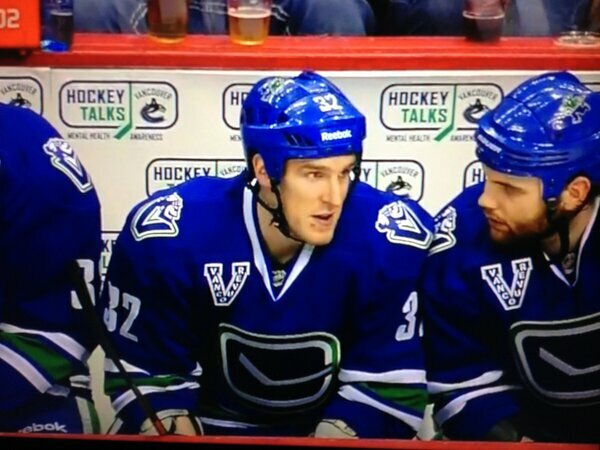 Unique colour and strong graphics – the bold stripes and the big V. Prefer it over the usual blue Canucks uni. Wonder if we can buy one?